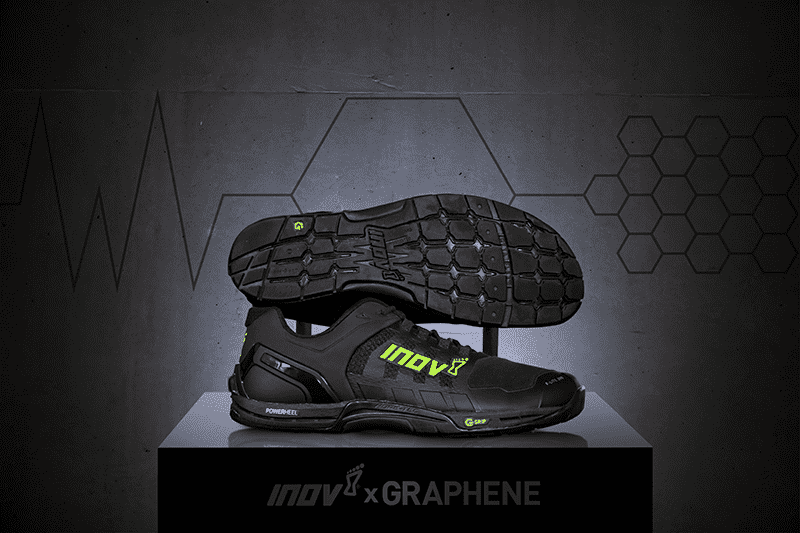 The British brand inov-8 has launched the world first shoe for Crossfitters that incorporates the semi-metal Graphene in their rubber. The new material was first isolated by scientists at The University of Manchester in 2004 which were later awarded with the Nobel prize in Physics in 2010 for their discovery of the just one atom thick sheet of carbon. Graphene is the thinnest material on earth while being stronger than steel as well as super-lightweight, which makes it a perfect material for the footwear industry. Graphene is produced from graphite and was already mined in the Lake District area of Northern England roundabout 450 years ago. Lake District is also home to inov-8’s head office. The F-LITE G 290 is made for Crossfitters. 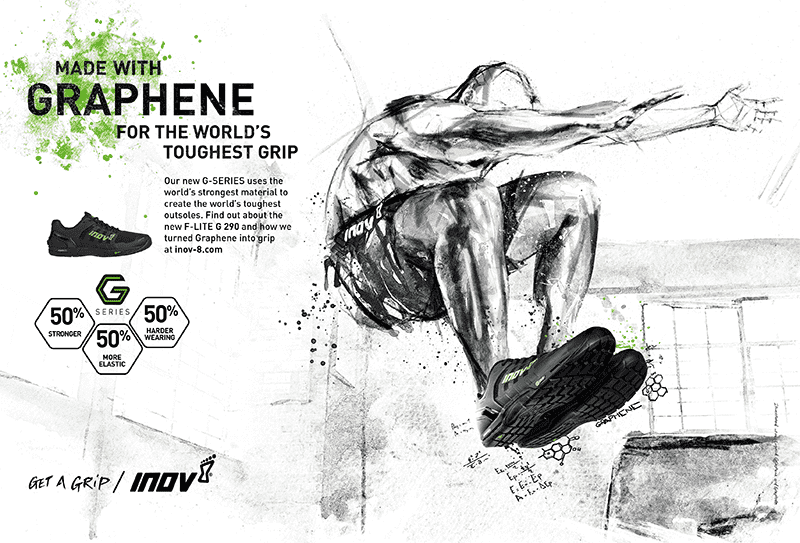 The shoe combines graphene-enhanced rubber outsoles and Kevlar on the uppers of the shoe to make the shoe more durable for the demanding and challenging WOD’s in the box. The MUDCLAW G 260 is targeted towards runners in mountains and obstacle course races. The TERRAULTRA G 260 will be for long distances runners. 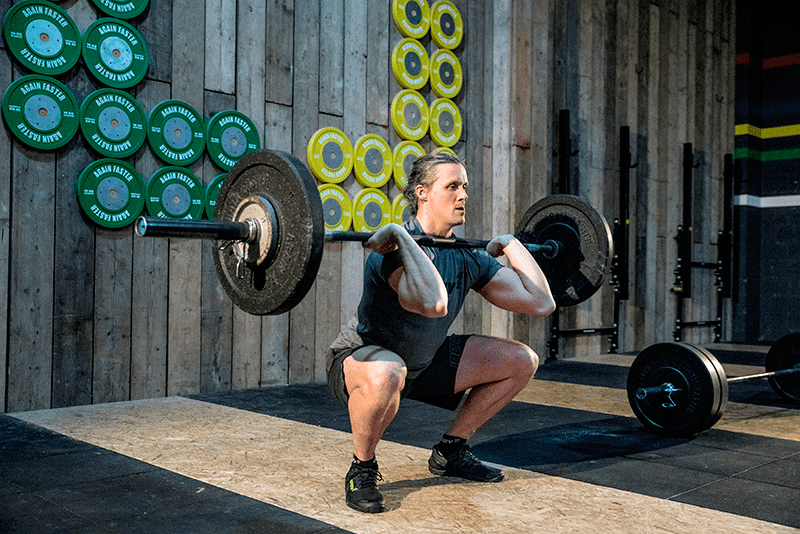 Ahead of consumer production, the company had 232 prototypes in total, with athletes testing them during more than 500 hours of Crossfit training and 8000 km of running. During today’s presentation at the National Graphene Institute in Manchester, it was further explained that the new F-LITE G 290 will move perfectly with your foot thanks to the new sole. The breathable mesh linked with the Kevlar in the forefoot will provide you with an increased durability and the new Exteroflow midsole will minimize any shock impact while giving you a high level of energy return. Due to the new material you will have a 40% denser heel which is a perfect foundation for lifting. So far, the shoe looks very promising and perfect for the demands and the variety a Crossfit session asks for. 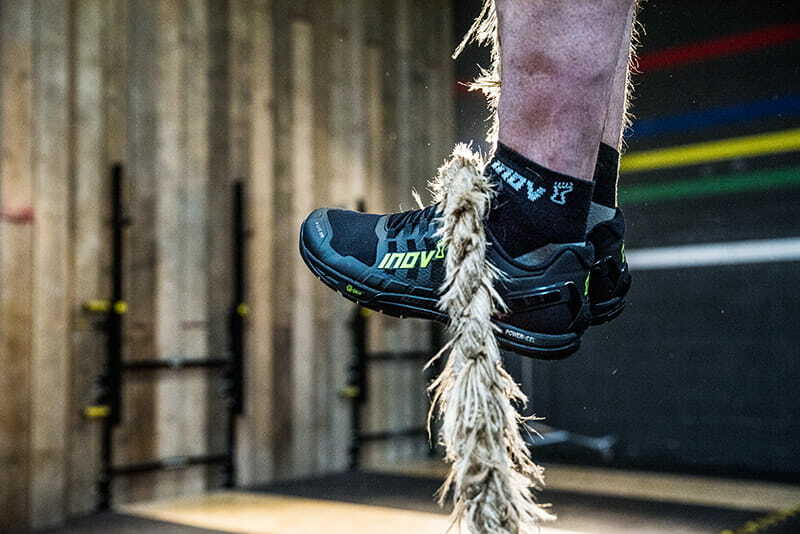 According to inov-8, the new F-LITE G 290 will be a game changer for Crossfitters. We will test the shoe in full detail tomorrow at a session at TRAIN Manchester. Stay tuned! 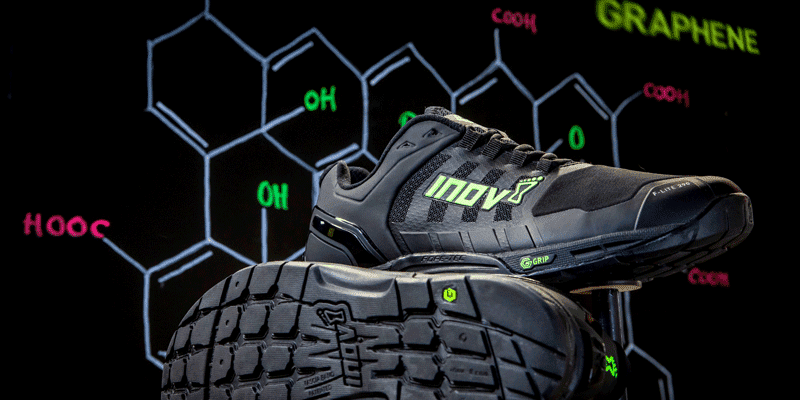 For more information visit inov-8’s homepage.